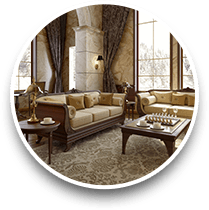 Independently owned and operated, The Tailored Touch mixes superior customer service with exceptional workmanship, making us the best in the upstate to come for your upholstery needs. We regularly bring in new designs and fabrics to our collection. 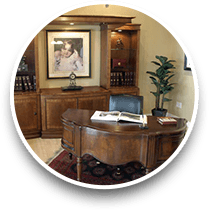 Decorating your home or office is personal and our goal is to ensure you get the right look, and the best price. Some people love contemporary others love classic lines. 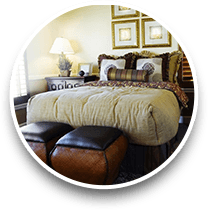 The Tailored Touch offers a wide selection of styles from a variety of manufacturers that will bring color and comfort to your home. 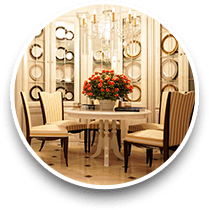 We will make sure that your personality pops out and shines through your home décor selection. You will find everything you need to outfit your home. From accessories to complete suites, we can reupholster it all. Stop into our shop to see what fabrics and designs that will match fantastically with your style.